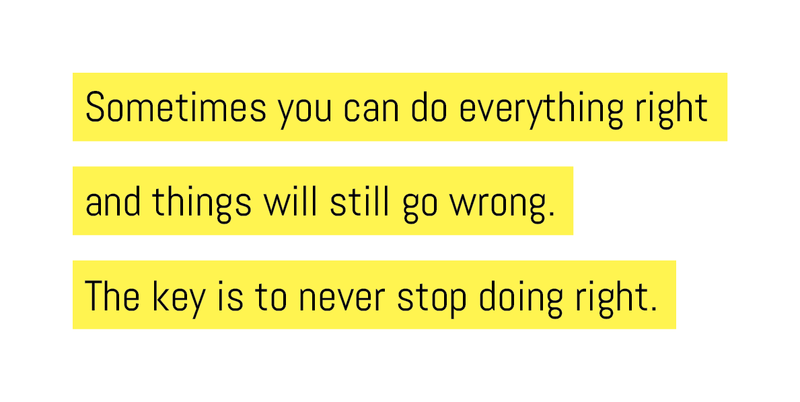 Sometimes you can do everything right and things will still go wrong. The key is to never stop doing right. Quote from THE HATE U GIVE, by Angie Thomas.